Planning an Upcoming Birthday Party? WHAT KIND OF PARTY DOES YOUR CHILD WANT? HAVE IT ALL IN ONE PLACE!!! Birthday Parties at White Rock Tumble & Cheer are: Gym Fun First, Cake & Ice Cream Second. Our parties start with 15 minutes of fun on a equipment obstacle course and our inflatables. The next 30 minutes are spent playing party games, then we finish up with 15 minutes of open play… after all the fun take the party to your private party room for 30 minutes of cake ice cream & presents! White Rock Tumble & Cheer offers a fantastic & unforgettable way for your child to celebrate their special day with a party that has it all. We give your birthday child and their friends the whole facility to themselves to take part in games, music and fun activities created especially for them. Plus, you get to relax and enjoy the festivities too. In addition to leading the fun, White Rock Tumble & Cheer will handle everything from set-up to clean-up. That means you get to go home to a clean, quiet house free of icing and sprinkles ground into the carpet. 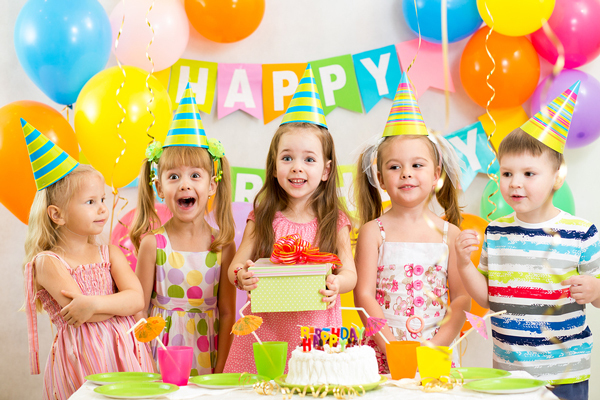 Birthday parties are designed for the specific age of the children attending. You provide the cake, refreshments, and paper products. We provide the FUN for your child & their guest. You’ll have the gym 100% all to yourself unlike parties at other facilities, where your party is in an open play area with the general public. This is a Special Day & we believe the birthday child should spend the party with their guest ONLY. 100% of our attention is devoted to making sure that your child’s birthday experience is truly extraordinary. *Amount must be paid in full to book and hold a party. Maximum 15 guests per party. Parties are 90 minutes in total. Call 214-445-8833 for alternate days and times. 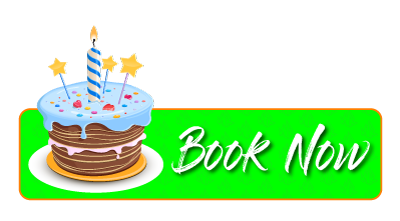 Book your party online today. Pick your day and time. Create your account and agree to the policies. Make your payment online and you’re done. The FUN AWAITS!! Your Party is booked!! Call 214-445-8833 if you have any questions. After a party is booked, there are no refunds. Click to book your party.